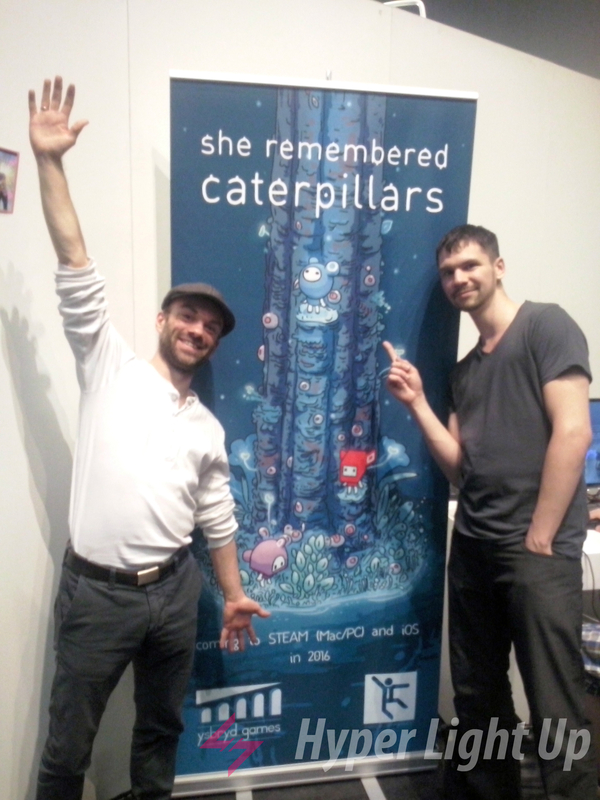 Next to the Indie Arena Booth, we also found Jumpsuit Entertainment showcasing their game, She Remembered Caterpillars. We got the chance to talk with David Priemer about the game and its development as well as try out the game. The game was very good looking with a very nice art style and the puzzles although somewhat harder later on, very relaxing too. The game is a puzzle game based on colour theory. You are guiding various coloured characters to specific exits and there are all sorts of coloured obstacles blocking the way of specifically coloured characters. There are generally all sorts of mechanics that rely on colour theory in order to be solved. She Remembered Caterpillars is a fungipunk fantasy about love, loss, and holding on, told in the format of a color-based puzzle game. A tale as the bond between parent and child, this lush and bewildering title will have players testing their wits against a variety of challenges, some devious, and others outright nefarious, but all beautiful and very, very strange. The game is planned to fully release on PC and Mac, as well as 2 to 3 months later on mobile platforms too. You can learn more about the game through its website and Steam page. You can also follow the developers on their Twitter.